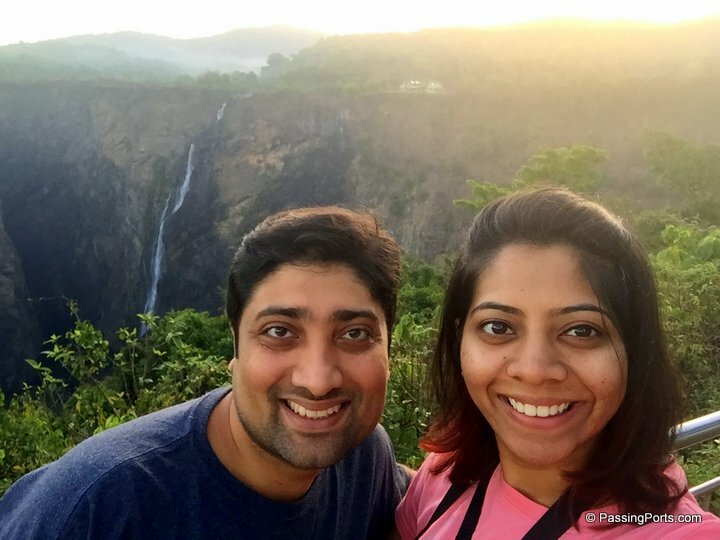 This has been my childhood dream, to visit the Jog Falls. Lots and lots of people have always had great things to say about this nature’s gift. Obviously, the urge to check this off my list was growing out of proportion. Another interesting destination that was on my list was Sahasralinga where people used to carve so many shivalingas (or shivling?) on rocks on a river bed in a small village named Sirsi. 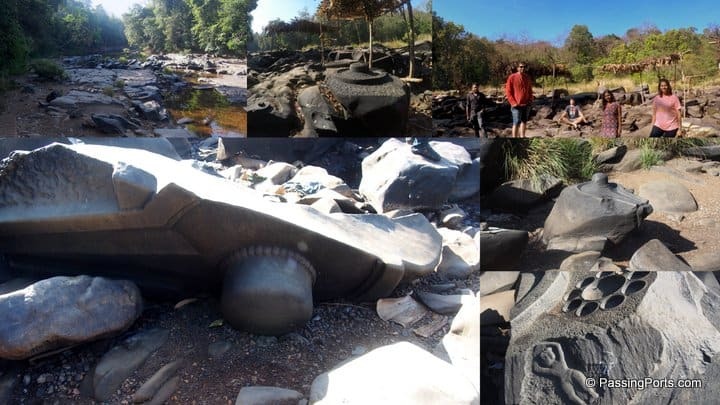 Sahasralinga means One Thousand Lingas. I wanted to finish both at one shot. As I write this, there’s one thing I have to mention; that there has been no consistent rains for the last two years and therefore, not much water in Jog or flowing river in Sirsi. Such a pity that one of the highest waterfalls in India is currently not looking the way it used to or any flowing water in this river! 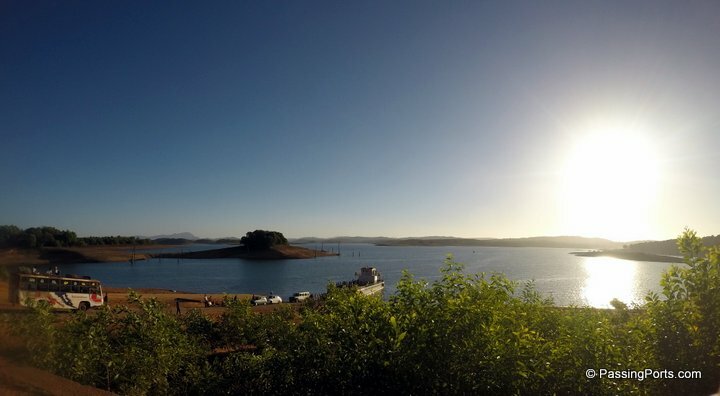 A group of five decided that nothing was going to stop us from visiting this beauty which is so close, yet so far from the city where we live in. Ladies and gentleman, I made it to the Jog Falls (:D) at last in the month of March – 2017. Yay! Travel plan: Train from Chennai to Mangalore. Zoom Car from Mangalore to Jog Falls and Sahasralinga. 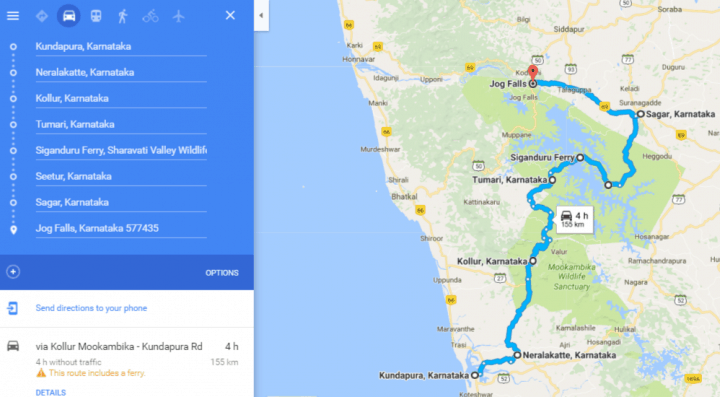 Route Map: There are two ways to get to Jog Falls from Mangalore. We started our drive on NH66, drove through beautiful landscapes before reaching our day one’s halt – Jog Falls. It took us about 8 Hours to reach Jog Falls from Mangalore. We did stop at few places for lunch, petrol, figuring if the direction we went was right etc. On this route, we also passed through one of the most famous temples in South India – Kollur Mookambigai Temple. If you are headed that way and if time permits, take her blessings before you proceed. Among many others, what you will read below was one of the best parts of taking this route. We reached Jog falls post sunset. We checked into Hotel Mayura Gerusoppa, had dinner there and hit the sack. Next day, I was the first one to wake up as my childhood dream had almost come true. I ran to the window to check the views from my room and after that, there was no stopping me! There is a beautiful pathway that this property has constructed and you can go all the way down to get a close view of the once upon a time magnificent falls. It takes a minimum of 2-4 hours to go down and come back up depending on your fitness level. We were told that there has been no rains in the last two years and therefore you see very less water falling. I hope this changes soon as my dream to see this place with water gushing is still unchecked. Once I had absorbed what was left of the Jog Falls to my heart’s content, I was ready to hit the next place of visit – Sahasralinga. This place was first known to me via WhatsApp forwards where many Shivalingams were discovered under-water in a small town called Sirsi. Sahasralinga is about 75 Kms from Jog Falls and you pass through Sirsi to reach this destination. This place saddened me a bit as this is also sans water and soon to be dry due to very little or no rains. 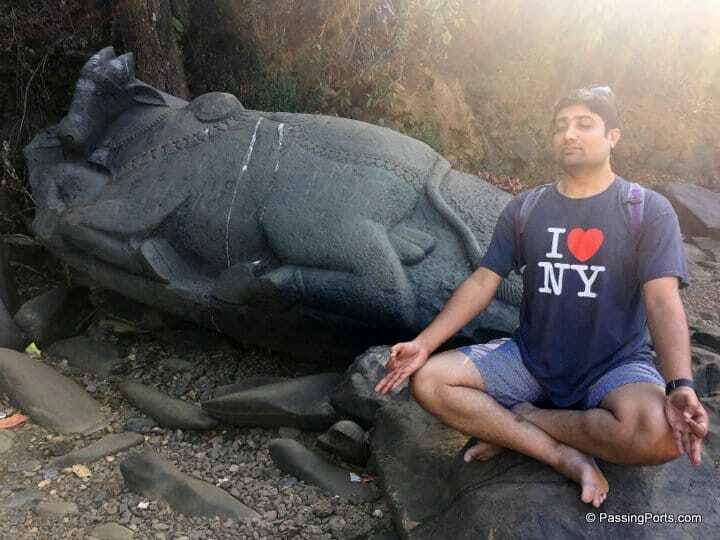 Once you reach Sahasralinga, walk down to find the numerous Shivalingas scuplted on the rocks. This definitely takes you down the history lane and you start wondering as to how all this happened. We spent about an hour here amidst all the shivalingas, nandi, and other sculptures. 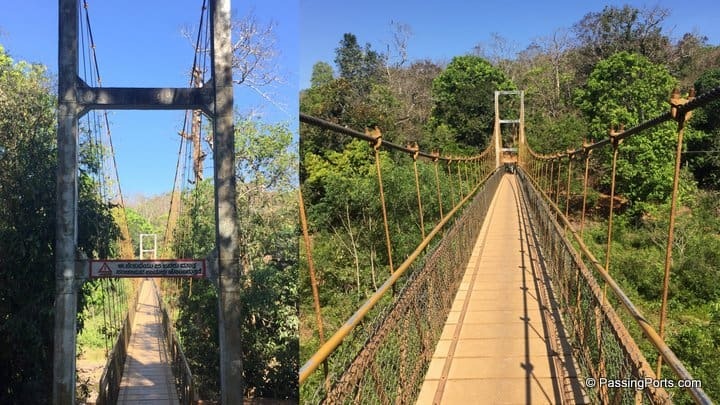 Once you finish this, you can take a walk across the suspension bridge which gives you a picturesque view of the landscape. Like I said earlier, if only there was more water! Would have been lovely if this place had been maintained better. Nevertheless what it needs is more rains than anything. Do visit this place if you plan a trip to Jog Falls. You can start early from Jog falls to visit Saharalinga. We left by 0730 AM and returned by 1100AM. Our breakfast was at a nice place called Hotel Madhuvana in Sirsi town.